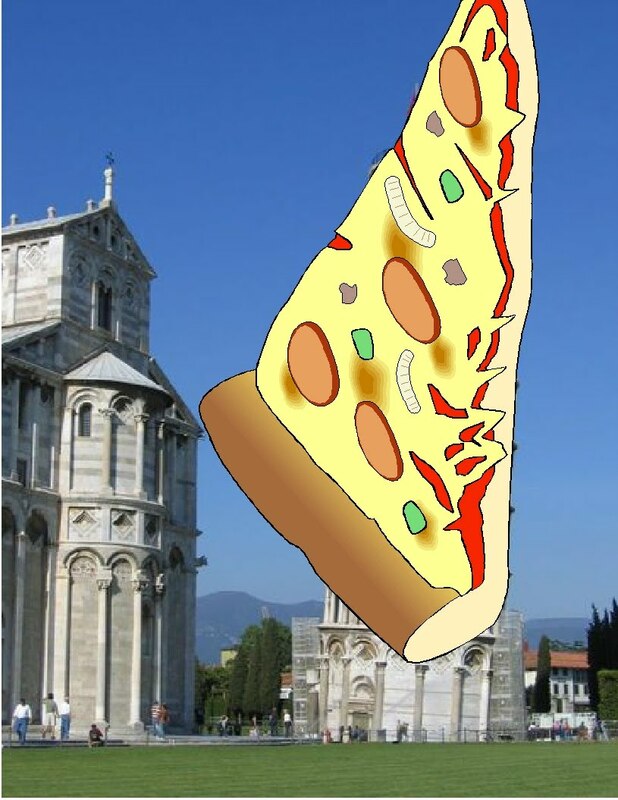 T: Um, does the Tower of Pisa lean? T: Okay… so… is it called the Leaning Tower of Pisa? Why does this make the Quote of the Week? Let’s break it down. I infer from the question that T. is intending to use a reference to the Leaning Tower of Pisa in his writing. I also know that T. knows parts of things, has heard things, and is trying to put it together. He doesn’t have very much mental stimulation going on at home,* and has to figure these things out himself or at school. My guess here is that he knew there was something with a name similar to the Leaning Tower of Pisa. He wasn’t positive that the word was “leaning”, so he organized his questions to check his facts. I LOVE it. I’m not going to be sad that in his writing he spelled it Leaning Tower of Pizza, because A). That’s cute, B). I know what he meant to do, and C). He used it SO well! The line he used is excellent! It’s posted in his journal entries here, and quoted for your perusal below. Rock on T. Keep asking questions and getting the information you need! *Note–In the most positive way I can say it, I was blessed with a family that was intelligent and valued literacy, conversation, and thought. Many of my lovies don’t have this in their lives. I just read all three of the journal-related posts. I love this! It must so cool to have you as an audience – to have someone to tell about the weekend, and to know that they're really paying attention to what you say and how you say it. How do you respond to them? Like, checkmarks on their papers or what? I write back once a week–about 2 paragraphs, I'd say. I respond to what they wrote, or start a conversation, or suggest new things to write about. They like to read the responses. I think it's helped. That, and I write with them. I LOVE it!! !